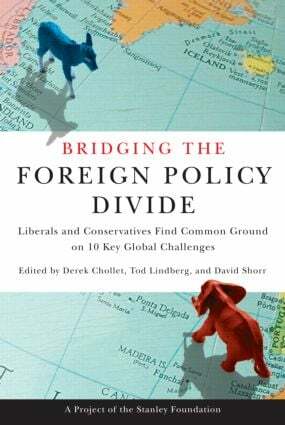 Bridging the Foreign Policy Divide brings together twenty leading foreign policy and national security specialists—some of the leading thinkers of their generation—to seek common ground on ten key, controversial areas of policy. In each chapter conservative and liberal experts jointly outline their points of agreement on many of the most pressing issues in U.S. foreign policy, pointing the way toward a more constructive debate. In doing so, the authors move past philosophical differences and identify effective approaches to the major national security challenges confronting the United States. An outgrowth of a Stanley Foundation initiative, this book shows what happens when specialists take a fresh look at politically sensitive issues purely on their merits and present an alternative to the distortions and oversimplifications of today's polarizing political environment. Are We All Nation-Builders Now? Should Democracy Be Promoted or Demoted?